Equipped with the most advanced technologies, this plant will become the flagship of the Turkmen chemical industry and the largest industrial-production complex in the Asian continent. 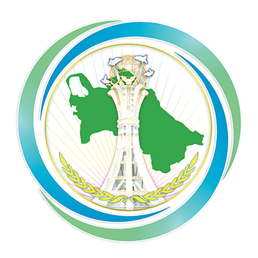 The fact that its construction on one of the largest deposits of potassium salts in the world clearly indicates that Turkmenistan will obtain one of the leading positions in the world amongst potassium producers and exporters. In the coming years, along with Canada, Russia and some other countries, our country will have to deal the growing demands of the world’s potassium fertilizer market. Experts note the high quality of the potassium salts of the Garlyk deposit. According to estimates, the plant's manufacture on many indicators will superceed exsisting foreign counterparts. Construction of the Garlyk mining and processing plant was accompanied by the establishment of a large social infrastructure, which includes educational and medical facilities, entertaintment and culture centres. . The most important feature of the Garlyk mining and processing plant is its transport and logistic part. The constructed railway tracks and the road adjacent to the facility, make it possible to carry out direct deliveries of the products to consumers within the territory of Turkmenistan, as well as abroad. Another fact to be mentioned is that the construction of the Garlyk minning and processing plant was fully funded from the state funds of Turkmenistan. Putting into operation of this largest production complex indicates effective implementation of the state strategy adopted few years ago regarding Turkmenistan’s joining the group of industrially developed countries with an advanced innovative and technological foundation.